When New Zealand native Sarah Walls arrived in Telluride a dozen years ago, something clicked. “I thought, ‘Oh my god, this is the place,’” said the 37-year-old Walls, who has skied in a dozen countries and taught in Colorado, Utah, Japan, China, and New Zealand, among others. But as much as she might have liked to stay, Walls has an itinerant profession, so she returns to her home in Wanaka on the South Island of New Zealand to teach skiing after Telluride shuts down its chairlifts – this year on April 7. In between the ski seasons, however, she often spends up to two months kite surfing on waves around the globe. It’s an adventurous life that others (like this scribe) can only dream about. Walls grew up on the North Island in a town called Taranaki and skied on Mount Ruapehu, elevation 9,177 feet. While a student at Otago University in 2001, she took a semester off and skied at Vail, landing a job with Salomon, handing out demo skis on the mountain. “The wow factor knocked me over because the northern hemisphere’s resorts were so much bigger than I was used to,” said Walls, who liked the experience so much, she returned again in 2003. She began teaching skiing on Mount Ruapehu in 2004. Not long after that, she got a job teaching kids how to ski at a resort in Japan called Hachi Kogen on the Main Island of Honshu – where she put her four years of Japanese language study to good use. A fellow instructor in New Zealand told her about Telluride, vouched for her skills and she joined a handful of Kiwis at the resort. 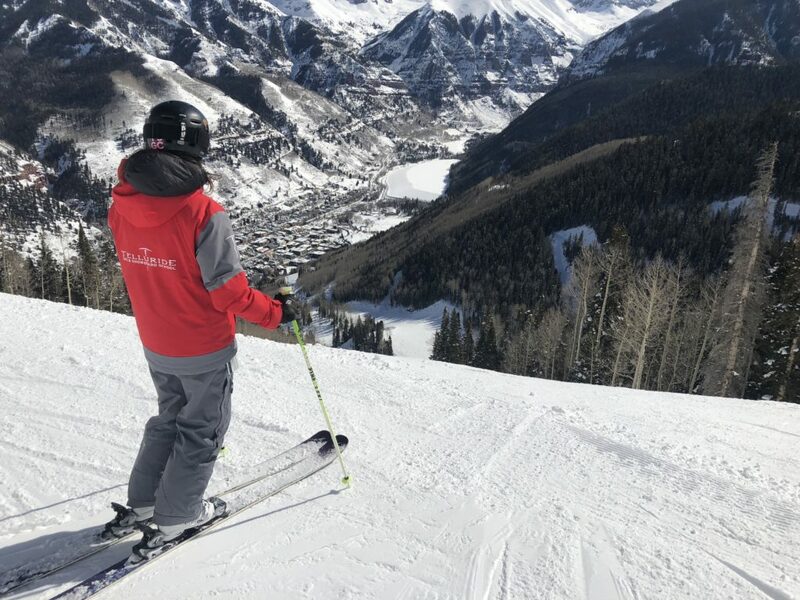 Wells calls Telluride an ideal place to teach, with a total of 148 trails, 19 lifts, 2,000-plus acres of skiable terrain and a whopping vertical drop of 4,425 feet – if you include the hike-to territory. “This resort has an excellent mix of slopes for students and instructors,” she said. 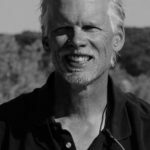 “You’ve got awesome teaching terrain from gentle, beginner runs up through advanced intermediate slopes, so the progression is excellent. “It’s a great place to be an instructor. You can do a great job here because there’s a natural, helpful terrain progression that allows for the successful development of clients. That usually means everyone is always having a good time. “There is also plenty to challenge you with steep groomers to double-black diamond moguls to couloirs. There are still a few lines I look at and haven’t quite plucked up the courage to do. There is always that pull. I’m definitely not bored of this place in-bounds. “But that’s just half the story because the backcountry and the side country that you can access from the lifts here is nothing like I’ve ever seen anywhere else in the world,” she said. Some of her favorite expert spots include Mountain Quail, Black Iron Bowl, and the Gold Hill chutes one through 10, all of which require hiking to reach. Less challenging are the hike-to runs off Bald Mountain, which offers advanced intermediate terrain with the trail much less exposed “so it doesn’t strike too much fear into people new to backcountry treks,” she said. 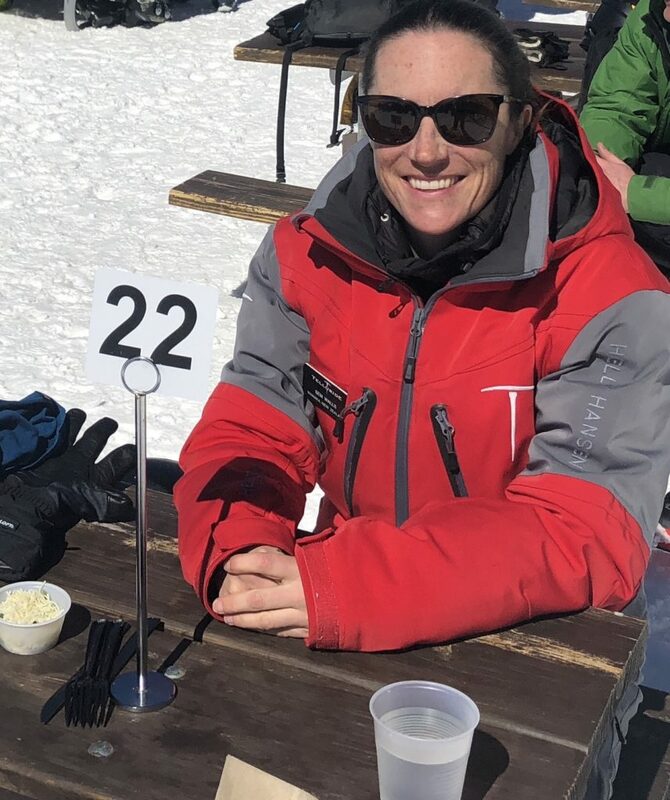 When Walls – who is a member of New Zealand’s Ski Instructor Alliance demonstration team as well as a top-ranked teacher – and her clients need to take a lunch break, she might take them to Alpino Vino, elevation 11,966 feet. Run by a chef from northern Italy, she said the organic tomato-gorgonzola soup and free-range turkey panino sandwich are excellent. At Giuseppe’s, she recommends the blackened chicken pasta and the meatball sub. 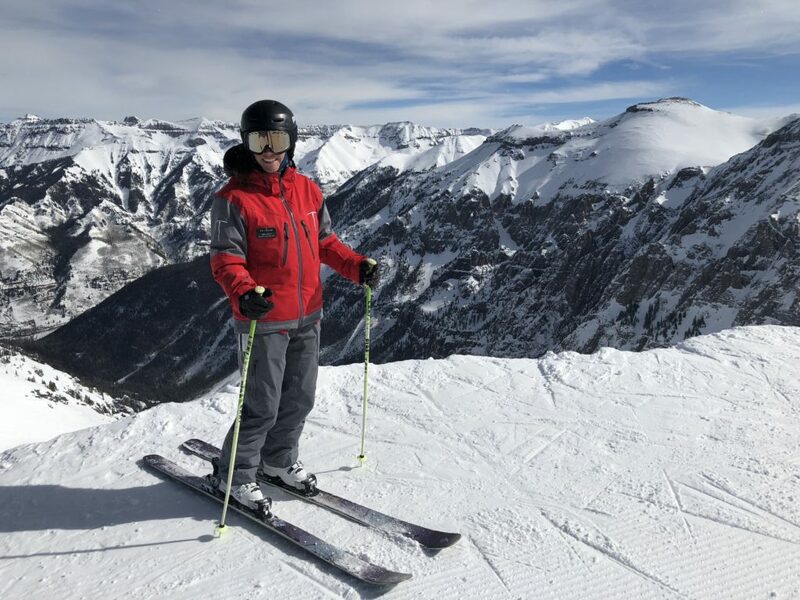 Walls said she and her boyfriend – fellow Kiwi instructor Vincent Boelema, who’s been teaching at Telluride for 21 years – live in a condo in town that’s only a few blocks from the gondola. Though it shuts down on April 7, it opens again on May 23 and goes until Oct. 20. Best of all, this Telluride-to-Mountain Village transportation link is free. She said they like to dine and hang out at the New Sheridan Hotel’s Chop House Restaurant or visit the Liberty Bar in town to dance and listen to music. Up in the Mountain Village, her favorite place is Tracks Cafe & Bar, where she met her beaux. Another winner is Allred’s Restaurant, which is located just steps off the gondola at the San Sophia station, elevation 10,540 feet. It serves a New American menu and offers stunning views of Telluride and the box canyon in which it sits from on high. When Walls needs a workout, she heads for the Peaks Resort gym, which also has a great spa for massages and other treatments. She laughed when I asked her how long she might continue her globe-trotting, ski-instructing, kite-surfing ways.